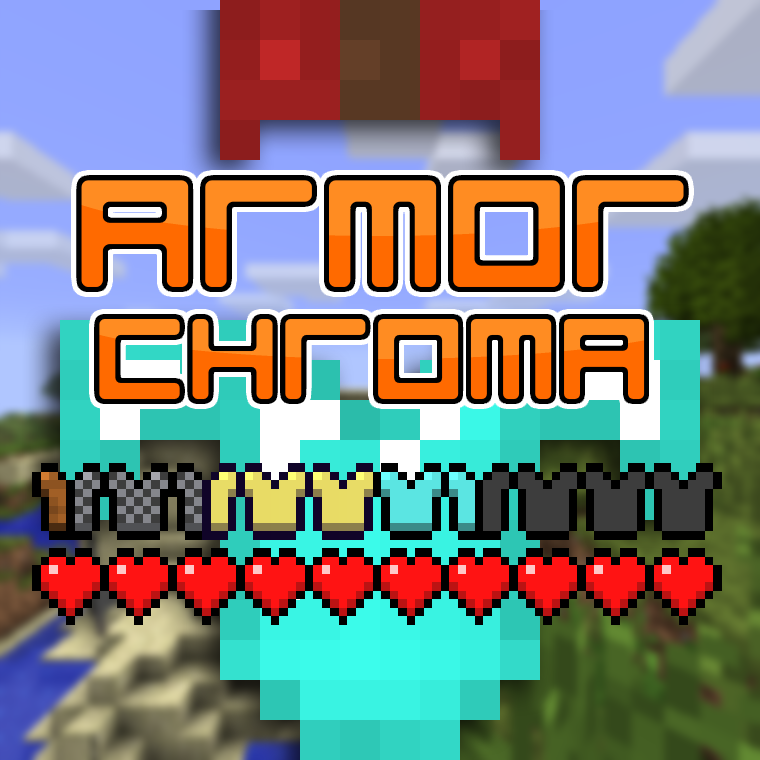 If using 1.3, please report errors with mod icon configuration (icons being shown as iron armor when the mod is on the list of supported mods), by sending a private message with the mod with the error and the armor materials(s) affected (if the type is a vanilla type, item IDs). You can find out a mod ID and armor materials by pressing F3 + H while ingame and hovering over the items. This mod is based off of a suggestion by badhaloninja. It's on GitHub too. You should make this compatible with Construct's Armory. Nice! 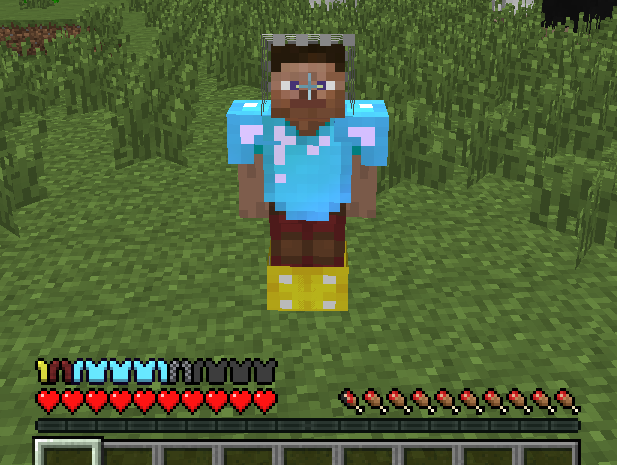 This is the AppleSkin for armor we've always needed. Just warning you now, if you decide to try adding support for a bunch of mods, good luck adding it for Randores. Here's a general list of most things you should make it compatible with. He's already planning to redo a lot of it. Something like having separate gui.png files for each armor type to make it easier for US to add the compatibility. i watched at the texture atlas and there are a few icons for modded armors that don't even exist anymore because they were removed from their mod or the mod doesn't update to never versions anymore so it would be an good idea to remove those icons and ad new ones for never mods like psi,actually additions,enderio and so on.hope this mod will still update. Or not have it all 1 file. Make it something like "<mod>\models\armor\gui\<armor>.png"
That's in progress, I'm not currently working on the mod though as I'm busy. Could you do something for the elytra? It's completely client-side, no server-side communications. 1.8.9 is possible, but will be lower priority than newer versions. It depends on how much other work I have to do. Redstone Arsenal armor doesn't show anything, not even the default iron texture, and when combined with the fluxplate jetpack from Simply Jetpacks 2 to exceed 20 armor the client crashes. edit: Disabling the "compressBar" option in your config fixes the crash (I forgot I had enabled it), however the armor bar still isn't showing even the default iron texture. Also, a question if I may: Can "icons.json" handle metadata and if so how? Thanks for the report, it's entirely possible that has been fixed in development, but I haven't had a fully working version for a while so I haven't released for a while. To answer your second question, Not Yet™.